﻿﻿﻿Palm Springs﻿﻿﻿﻿ is the perfect destination for those seeking a hip, architecturally cool city to explore. For over 100 years, artists, designers, architects and ﻿Hollywood﻿ stars have been drawn to this corner of the Southern California desert making the city a hot bed of creativity. Relax while Kurt squires you around this desert oasis in the Mod Squad van regaling you with tales of Hollywood and architecture! 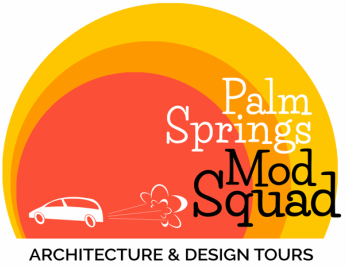 With a maximum of five individuals per tour, ﻿﻿Palm Springs Mod Squad﻿﻿ tours are intimate, personalized experiences. Choose your tour. We offer The Interiors Tour, The Essential Palm Springs Tour and our newest tour: Martinis & Mid Century Architecture. Travel into the past and see the houses of some of the biggest stars of the 1960's like Rat Packers Peter Lawford and Dean Martin, even Marilyn Monroe. This exciting tour that takes you into the heart of the 1960's where Palm Springs meets Las Vegas. After cruising through the architectural past, it will be time for an adult refreshment. In true Palm Springs fashion, we'll stop for a martini! You'll discover why martinis are shaken and not stirred and how this drink became the signature cocktail of the era. 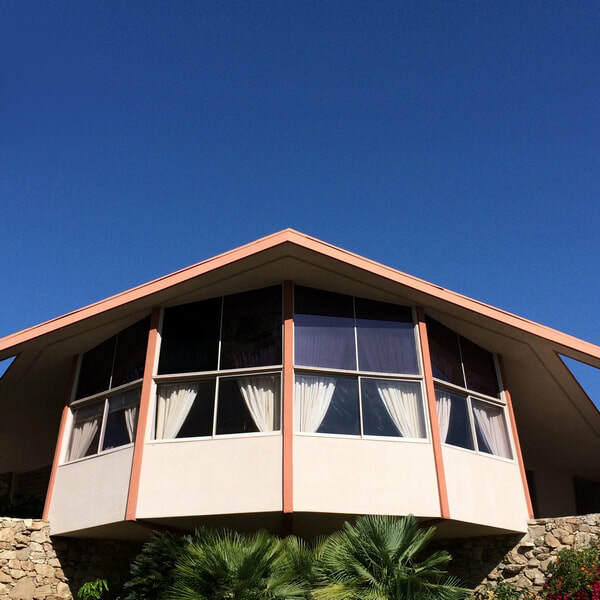 ​This tour takes you into three mid century Palm Springs houses. See how Desert Modern design is as appropriate today as it was 60 years ago. ​"My girlfriend and I did the Interiors Tour and it was the highlight of our trip to Palm Springs. Our tour guide, Kurt, took us into three mid century houses dotted in various neighborhoods throughout the city, all while providing a fascinating narrative about the history of the homes, the architects involved, and the design elements used. In addition to being incredibly knowlegable, Kurt's clear passion was infectious, and we learned a good amount while having a lot of fun. Highly recommend." This tour focuses on the six architects that made Palm Springs the modern city it is today. These architects lived in the city in which their buildings were built. We see the works of William Cody, Albert Frey, Hugh Kaptur, William Krisel, E. Stewart Williams and Donald Wexler along with others that have been influenced by their version of Southern California Modernism. This is a tour of the exteriors of the architecture. Modern architectural design finds its home in Palm Springs. You'll learn how our mid-century architectural past has influenced the current architectural design of today. We can also customize a tour itinerary especially for you and your group. If you have special interests, let us know and we'll design the perfect tour of Palm Springs for you. Just click the custom tours button below and tell us your needs.